This golden oil is ideal for protecting handmade terracotta tiles. The oil is applied to the tiles using a paintbrush, where it then fills any open pores within the terracotta and hardens, to stop the absorption of dirt and liquids. It also increases the mechanical strength of the terracotta. It is important to not allow the oil to oxidise on the surface of the tiles and to remove any excess not absorbed within 30-60 minutes of application, using a clean cloth. We highly recommend testing the oil on a spare tile prior to application to establish the number of coats of oil needed to reach saturation. 2L covers approximately 15m2 with two coats. 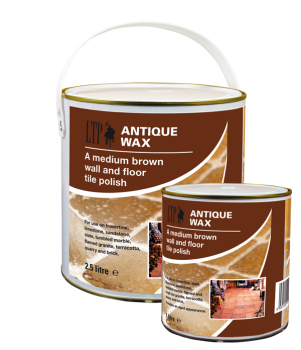 This medium brown floor tile polish is for use on our terracotta tiles, to give them an aged appearance. The soft paste wax is blended from three types of wax, to give the treated surface a shine. It gives a protective layer against dust, dirt, water and a variety of commonly found household contaminents. The wax comes ready to use and can be easily applied using a microfibre cloth, before being buffed to a polished finish. 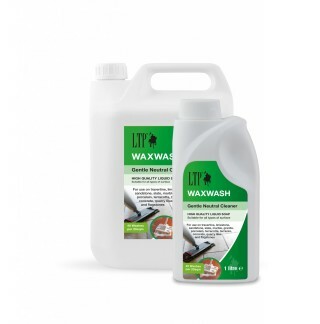 For best results, maintain with LTP Waxwash. 1L covers approximatley 10m2 with two coats. A high quality, liquid soap which cleans without damaging the surface. A gentle cleaner containing a trace of linseed oil especially formulated to clean without damaging the most delicate surfaces, it has a fresh, clean fragrance. Suitable for use on both sealed and unsealed, polished and unpolished surfaces. 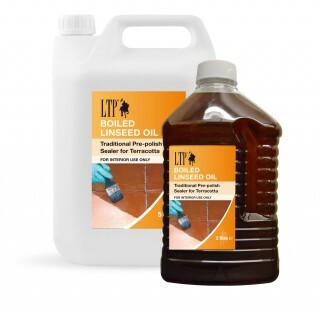 Ideal for use on surfaces that are protected with LTP Mattstone, LTP Mattstone H20, LTP Colour Intensifier, LTP MPG Sealer, LTP Linseed Oil and LTP Clear or Antique Wax. 1L gives approximately 40 washes on a 20m2 floor.